IM: So David, tell us how a Scotsman such as yourself found his way to South Africa. DN: In 1980, I met a very unhappy man at work in Scotland! He told me that he had been in a place called South Africa and told me that you can arrange a Braai (Barbeque) in a month’s time over there and know that it will be sunshine! He also told me that some people had swimming pools in their back gardens! That sparked my imagination, and I hated the Scottish winter weather! Came here on the 12th of February, 1982. I do not regret the move. It is a beautiful country with amazing people and musicians. IM: As a poet/musician, your work is seldom solo, and yet much of art is introspective. What is it about the collaborative process that speaks to you as an artist? And could you describe for us what your most inspiring collaborative moment has been to date? DN: I do perform on my own, but collaborations are magical with the very talented musician friends that I have been blessed to meet. Poetry and music are two sides of the same coin with rhythm, melody, and harmony. They fit together like a hand in a glove. Performing with Steve Newman and Madala Kunene are highlights, as are the collaborations with Mervyn Fuller as MAD: Mervyn and Dave. 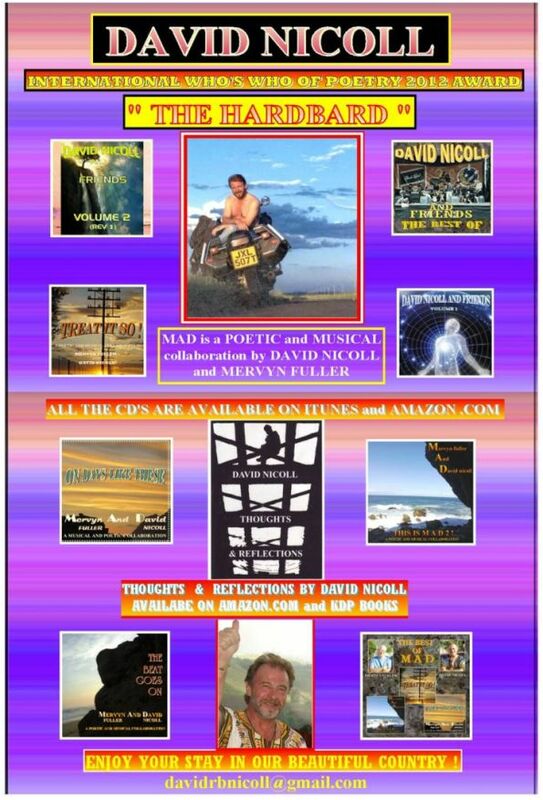 To view some of my solo work, please look up A Tribute to Nelson Mandela, I Wish at the Broch, and Man and the Whale on YouTube. IM: What came first, the poet or the musician? And can you describe for us how you have worked toward enriching both sides of your artistry over the years? DN: The poet came first as a way, initially, to get rid of emotions! I started reciting my poetry at TJ’s Folk Club in Johannesburg, and then met guitarists Ernie Stark, Yvonne Raff, and Claude de Speville and formed the band called Hakuna Matata! It was then that I started playing the African Djembe drums! After moving to Newcastle in KwaZuluNatal and finding that there was no live music there, I started The Newcastle Folk N Culture Club with others, which eventually morphed into a band called US (United Souls). 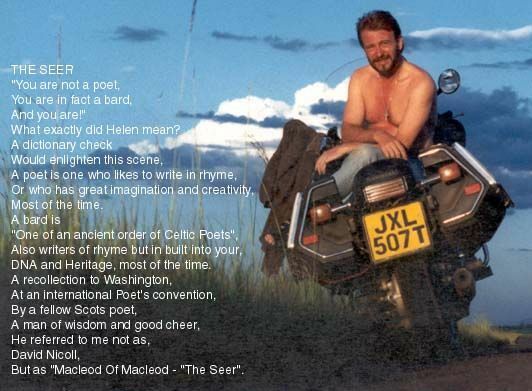 We would perform at many festivals there, putting the poetry on top of the massed Djembe drums, didgeridoos, guitars, mandolins, and even bagpipes. We often had more than twenty musicians on stage. IM: Tell us a bit about your two books Thoughts and Reflections and POKEs – POetic joKES. What are the most memorable recitations from each? 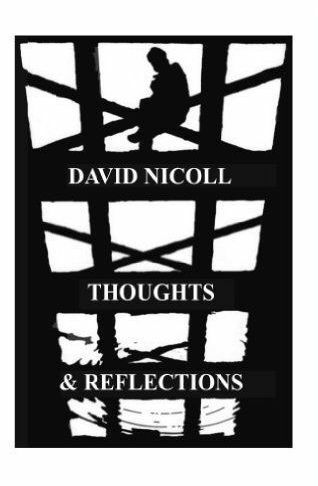 DN: Thoughts and Reflections is a collection of poetry and short stories from Scotland and Africa, some with full-color photos and matching illustrations. There is included a personal letter from President Nelson Mandela from 1995, after he read the poem called “Peace and Harmony,” which I had sent him. POKEs POetic joKES is humor in poetry. If you have a sense of humor, you will love this book. It’s good for a laugh. I also have some poems with matching illustrations in this book, as well. IM: Your work is infused with equal amounts of caprice and humility, from your tongue-in-cheek playfulness with poetry like “Instead!,” to the more poignant “Wildlife at the Zoo”. How are you able to find a balance between these two very different sides to your soul? DN: I care very much about the wildlife on this planet and the mess that Homo Sapiens are making as temporary custodians of it. Everything has been turned into a commodity now and has a monetary value, from elephant ivory, to rhino horns and lion skins! Too many species are being decimated because of greed, and we are disregarding the natural balance of the earth and each animal’s unique part to play in maintaining that balance. This is also happening in the oceans. I write about these things. On a lighter side, I love to make people laugh, and writing and reciting POKEs POetic joKES is my way of doing that. When I give the book of POKEs to people to read, they are inevitably laughing within a couple of minutes. IM: As a draftsman (by day) and artist (by night), what advice would you give to someone starting out in their own artistic career—be it music or writing? Imagination is the key to light the fire as it comes before desire, the seed bursts open many leaves to vent, then starts the process of development, till your flower bursts open revealing your dream as if almost Heaven sent, you have gone from a thought to Achievement! IM: I’d like to thank you for taking the time to share your insights and artistry with us and I wish you continued success in your artistic endeavors. DN: Thank you very much for the opportunity to showcase my work. I would also like to thank all the South African musicians that I have had the pleasure of collaborating with. Thanks also to Micheal de Saedeleer for the cover photo for Thoughts and Reflections, taken of the reflection of a canal surface in Manchester, England, and for the illustrations in the book. RIP my friend! Thanks to Jeff Hollbrook for the illustrations in the book of POKEs. Thanks also to Jerry Kuzma of Radio Wicca International, who are shortly going to be airing my work on their station. And a final thanks to Edenrock, Byrdclyffe with Knocking on Heavens Door Studios and www.uniquemusic.co.za for getting my musical work online. 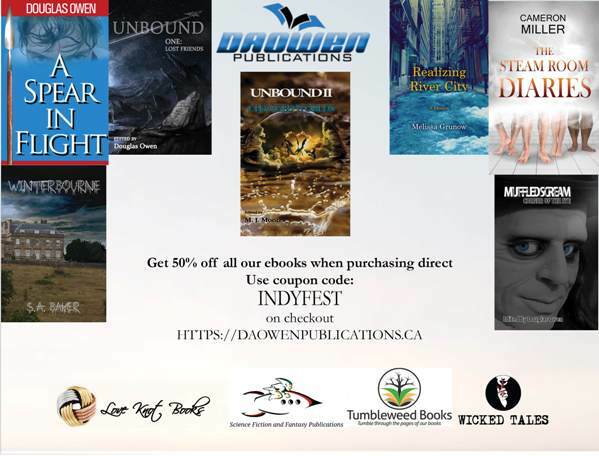 Be sure to follow David Nicoll on his BLOG, FACEBOOK, ITUNES and YOUTUBE.